I had so much fun planning out last week's Summer Sensory Fun Series, and I was tickled pink every time one of you left a comment or emailed a picture to me letting me know how much fun your kids were having with the activities. I LOVED it! It inspired me to host this link party this weekend to give you the opportunity to share your awesome activities from home. Did you make discovery bottles last week? Link up a post showing your kids playing with them! Do you have a favorite sensory activity of your own? Blog about it and share your ideas with us! I love how creatively different we all are. The way you can look at one project and completely make it your own is inspiring. I'm really hoping that some of you will link up and share your ideas here. I can't wait to see! I'll be featuring each linked-up post on our Facebook page to give you all maximum exposure. Link up below! I have not made the bottles yet but I have them on my to do list for next week. They look like a ton of fun. Thanks for the idea! That's great that you're planning to make them this week! The linky will be open until next Thursday, so link up when you can! I'd love to see pictures! I haven't had a chance to try any yet either, but I'm hoping to at least try the shaving cream this weekend. Those discovery bottles look like so much fun, too. I've been stashing a few things away to try them (miniature robots, nuts, bolts, etc.) 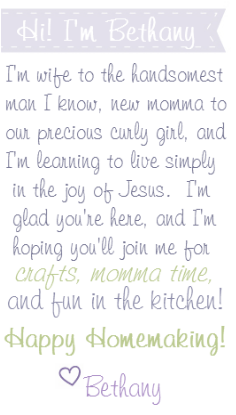 I also linked to your playroom in my post today. Great idea! I linked up a post from May! Please excuse the terrible pictures, our camera was broken at the time. We also recently did a rainbow rice sensory bin which was a big hit, hopefully I'll get around to blogging about it this afternoon. Thanks for joining in the fun, Jen! I'm so glad you did! Guess what? -- I'm your 100th follower!! Congrats! ;) Thanks7 for stopping by Preschool Powol Packets--I'm happy to join your linky party!! Hooray! 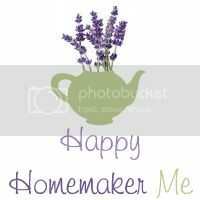 Thanks for joining the Happy Homemaker Community, Carla! *just because of you* there's going to be an exciting giveaway coming up to celebrate 100 followers! Thanks so much for linking up! Can't wait to read more of your posts! Thanks for the link up! I'll like an excuse to try something new with the babes.